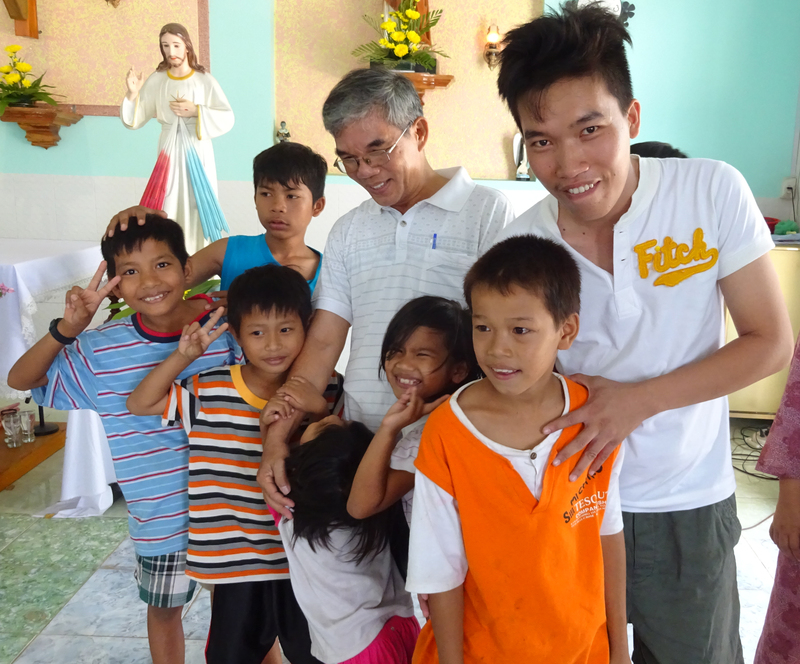 Formation and training of young people from Vietnam who felt called to be Brothers of Charity started in 2003. Thanks to the support of a number of local congregations of sisters, the Congregation of the Brothers of Charity was able to develop fairly quickly. The first house in Ho Chi Minh City, which also serves a house of formation, remains the Congregation’s headquarters in Vietnam. It is where the brothers receive further training and formation, and where they started offering care to children with autism. In Bao Loc, they set up care for chronic mental patients, and in Dong Nai, they cooperate in the care for people with mental illness, people with disabilities, and the elderly poor. It is amazing how the Brothers of Charity have obtained such a positive position in a relatively short time in Vietnam, both socially and ecclesiastically.